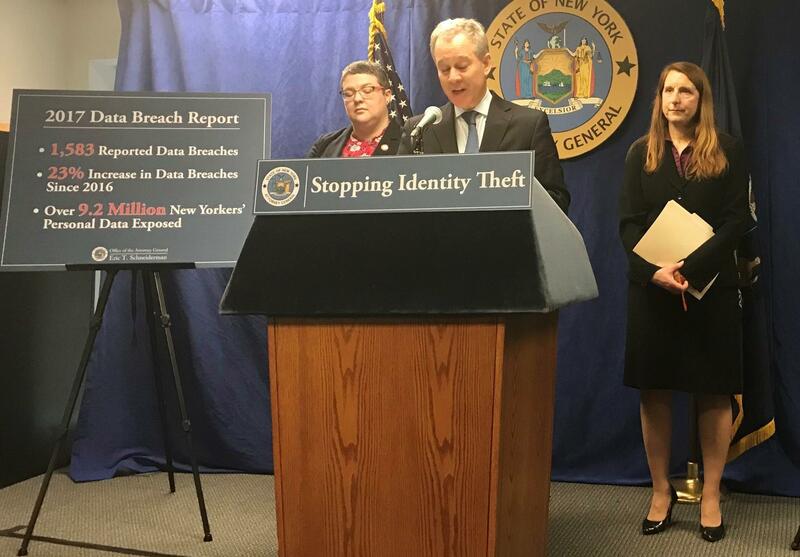 New York State Attorney General Eric Schneiderman said Thursday that his office received 1,583 reports of data breaches in 2017, affecting people across the nation and roughly 9.2 million New Yorkers. He says these numbers have been on the rise since 2015. 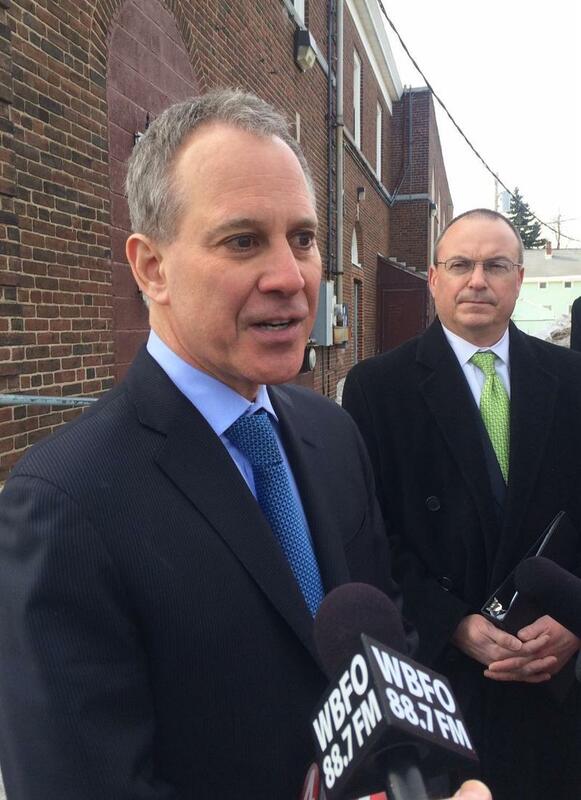 New York State Attorney General Eric Schneiderman stops in Rochester to talk data breaches. Cambridge Analytica is a political consulting firm that worked with President Donald Trump’s 2016 campaign. Last fall, the state legislature with Schneiderman's guidance introduced the Stop Hacks and Improve Electronic Data Security Act. It’s called the SHIELD act for short and would require that businesses handle, store and dispose of customer and personal records in a safer way. But for now, he says users will have to be more careful as well. Hackers made up 40 percent of the data breaches and resulted in 94 percent of the total personal information exposed. Employee negligence is another issue, accounting for 25 percent of breaches, where customers’ records are mismanaged or poorly handled. Officials say it’s a good idea to question companies and websites about how this information will be used and stored and ultimately it’s better to opt not to give out this information than to have it stolen.